EVER-EZ KISS Premium Lashes 02 are made with top-quality natural hair. This natural style false lashes made from incredibly soft natural lightweight hair fibers for a natural look, easy application, and comfortable wear. Kiss 02 lashes is similar to Andrea Strip Lash #53 and are perfect to add fullness and length to your natural lashes with looking overdone! EVER-EZ KISS Premium Lashes 03 is made with top-quality natural hair. They are lightweight, natural, and reusable. 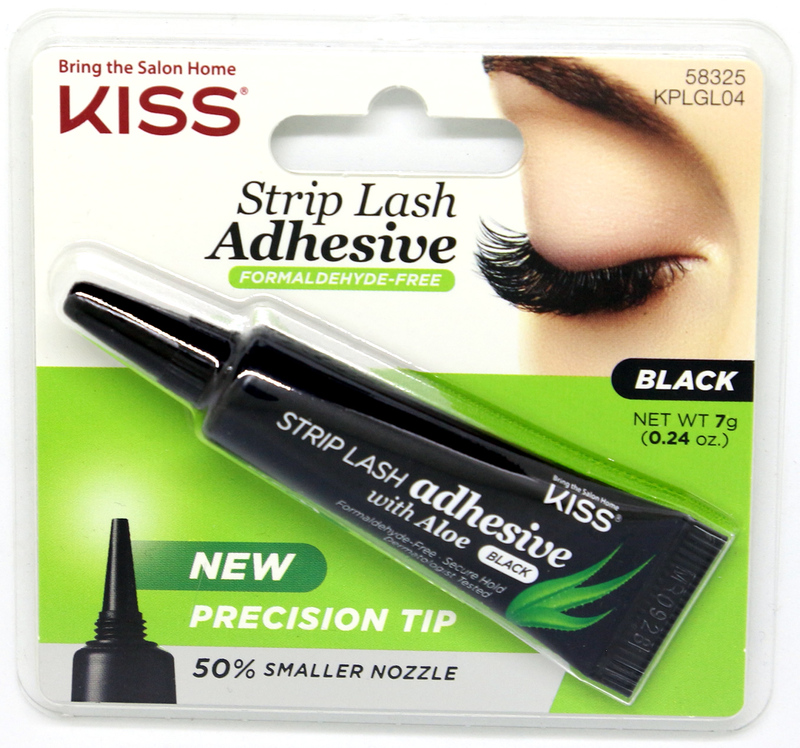 Kiss 03 lashes is soft, wispy lash hairs fan out with a subtle flare for natural appeal. EVER-EZ KISS Premium Lashes 05 is made with top-quality natural hair. They are lightweight, natural, and reusable. 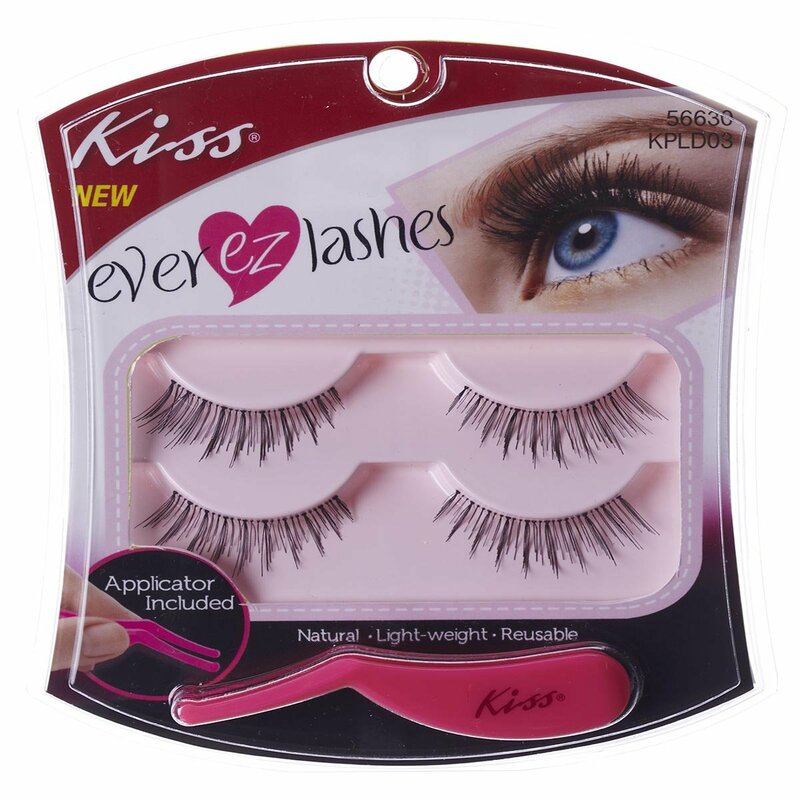 EVER-EZ KISS Premium Lashes #11 is made with top-quality natural hair. They are lightweight, natural, and reusable. Style similar to Ardell Demi Wispies. 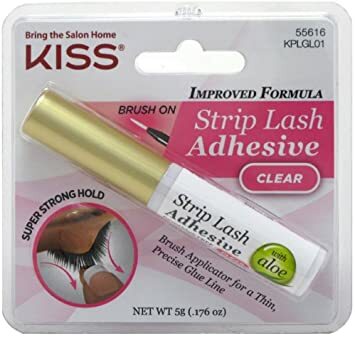 Kiss Ever EZ Lashes Strip Lash Adhesive Clear (6 ml, 0.21 oz) provides 24 hour flexible hold for your favorite false eyelashes. Made in Germany. Kiss Ever EZ Trio-Lash Starter Kit (KPCK01) allows you to customize your lashes by filling in, applying atop or adding a flirty accent to the outer corners of your natural lashes to achieve those fuller, more flattering eyes. Just add them where you need them, according to the look you want to achieve. KISS EVER-EZ Lash Double Pack 01 gives the lashonista a great value. Eyelashes made with top-quality natural hair; lightweight, natural, and reusable. 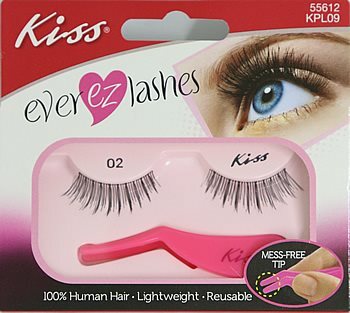 KISS EVER-EZ Lash Double Pack 02 (Style: Natural) gives the lashonista a great value. Eyelashes made with top-quality natural hair; lightweight, natural, and reusable. 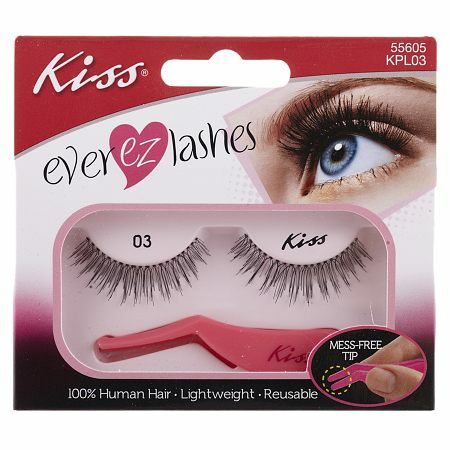 KISS EVER-EZ Lash Double Pack 03 (Style: Natural) gives the lashonista a great value. Eyelashes made with top-quality natural hair; lightweight, natural, and reusable. KISS EVER-EZ Lash Double Pack 05 (Style: Glam) gives the lashonista a great value. Transcend everyday beauty and plump up your natural lashes with this high-volume fluffy glam style. These falsies eyelashes are made with top-quality natural hair. They are lightweight, natural, and reusable. 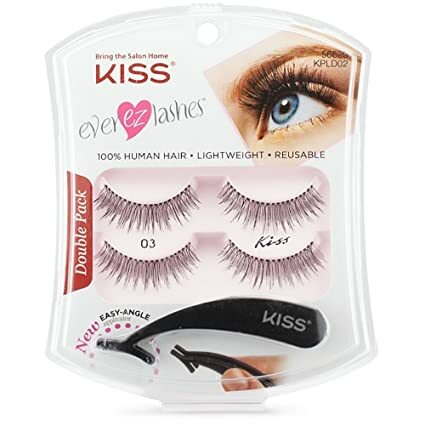 KISS EVER-EZ Lash Double Pack 11 (Style: Glam) gives the lashonista a great value. Kiss Lash 11 are thick medium length criss-cross style false eyelashes great to attract attention. Eyelashes made with top-quality natural hair; lightweight, natural, and reusable.